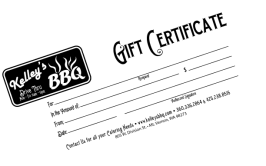 We hope to share our passion for delicious BBQ with you! We cater corporate events, parties and weddings ranging from 1 to 600 people! Please contact us to answer any questions you may have---you can also fill out our Catering Quote Request form. 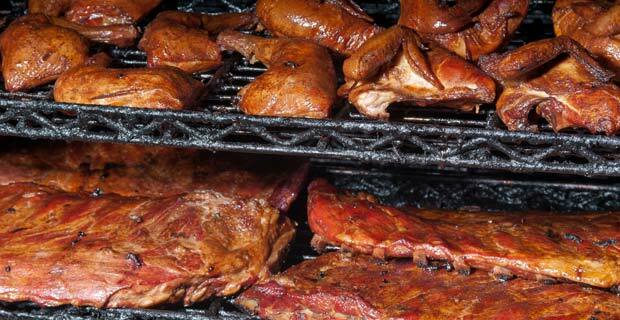 Come enjoy Kelley's Southern-Style, Wood-Pit BBQ at our Drive Thru location! The state-of-the-art 1800# stainless-steel, temperature-controlled smoker, helps us smoke our meat consistently—until it’s golden-brown and bursting with flavor. We rub our special seasonings on every cut of meat—smoke it to perfection—and serve it up with a side of top-secret homemade barbecue sauce. Please fill out our handy Catering Quote Request form. 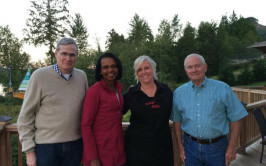 We decided to enter the catering business and specialize in authentic “Southern Style” Barbecue. Our 30 years of experience in the food industry allowed the opportunity to start a business that satisfies our passion for cooking, but also enables us to work alongside people—helping meet their catering needs. Access to original family recipes is our secret to unique flavor selections! The state-of-the-art 1800# stainless-steel, temperature-controlled smoker, helps us smoke our meat consistently—until it’s golden-brown and bursting with flavor. We rub our special seasonings on every cut of meat—smoke it to perfection—and serve it up with a side of top-secret homemade barbecue sauce. Please visit our Drive Thru restaurant in Mt. Vernon, WA or contact us for catering your next event. 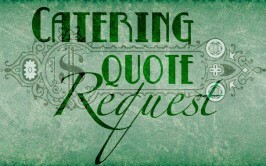 We also have a handy online Catering Quote Request form. We’re so excited to serve you the best (in our opinion) Southern-Style, Wood-Pit BBQ!